TOKYO - Tokyo Otaku Mode (TOM) has announced that limited edition silver accessories designed by Japanese anime director Kenji Kamiyama will be retailed on the Tokyo Otaku Mode Premium Shop this summer. The original accessory brand Dr MONROE created and co-designed six original designs inspired by Kamiyama’s artwork. Pre-orders for the accessories will begin on July 1, 2013 on the Tokyo Otaku Mode Premium Shop. The accessories will be shipped to customers after October 2013. 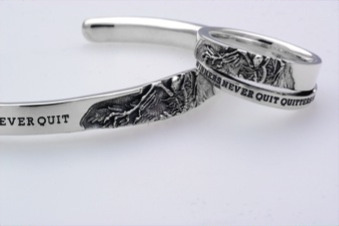 These special silver accessories were produced by the collaborative work of Kenji Kamiyama, Dr MONROE, and TOM. Kamiyama, a long time fan of Dr MONROE’s products, offered his original artwork “Fossil of an Angel” for the design, and Dr MONROE’s accessory designer Masakazu Ito incorporated it into six beautiful silver accessories. On July 1, 2013, these special silver accessories will be on sale for international customers exclusively on the Tokyo Otaku Mode Premium Shop (http://otakumode.com/shop/518a187a3b43e27321000533). TOM will begin a global promotional campaign on May 14, 2013, announcing this exclusive deal on its Facebook page, which has over 11.5 million*1 fans worldwide. Additionally, a special four-part interview series with Kamiyama will be published on Tokyo Otaku Mode β’s news site (http://otakumode.com/news). This series will give an inside look at his art and inspiration behind the specially designed silver accessories. 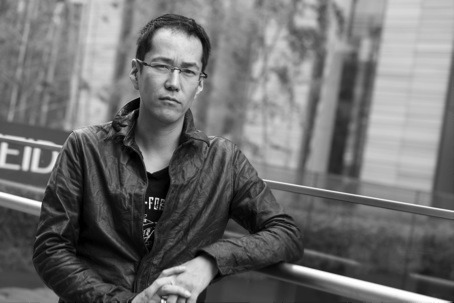 Kenji Kamiyama, born on March 20, 1966 in Saitama Prefecture, Japan, is a Japanese anime director and scriptwriter. Kamiyama started his career at Studio Fufa as a background artist in 1985. He worked as an animation director in “Jin-Roh” (1999). He made his directorial debut in “MiniPato” (2002), then directed the TV series “Ghost in the Shell: Stand Alone Complex” (2002), which has sold over 320 million videogram copies around the world. He also directed “Guardian of the Spirit” (2007) and “Eden of the East” (2009). His latest work “009 RE:CYBORG” (2012) has become a blockbuster movie in Japan and has been released all over the world. Since the establishment in 1990, Dr MONROE has been manufacturing high quality original jewelry with such themes as “love,” “peace,” “freedom,” “equality,” and “courage.” Dr MONROE responsibly chooses the materials for its original jewelry, and designs, manufactures and finishes them entirely within Japan by the company’s staff and carefully selected outsourced craftspeople of outstanding ability. From traditional techniques inherited from ancient times to the cutting-edge technology of lasers and 3D CAD, craftspeople enthusiastically strive to make the most of their expert techniques to produce jewelry of uncompromised quality. Through original jewelry made with themes such as “love,” “peace,” “freedom,” “equality,” and “courage” in mind, Dr MONROE hopes to help customers to enjoy a fashionable, warmhearted life, and also to realize a world without such things as war, poverty and discrimination. Tokyo Otaku Mode™ (TOM) is a worldwide distributor of otaku content, including anime, manga, cosplay, and otaku entertainment news. Owned and managed by Tokyo Otaku Mode Inc., which was incorporated in Delaware, U.S. in April 2012 by President and CEO Tomo Kamei, TOM has operated its Facebook page (https://www.facebook.com/tokyootakumode) since March 2011. In just two years since its launch, TOM has accumulated over 11.5 million*2 likes on Facebook, becoming the largest Facebook page operated by a Japanese company. TOM also launched its own website “Tokyo Otaku Mode β” (otakumode.com) in 2012. The website offers otaku entertainment news articles in English and a user-generated content (UGC) platform, which TOM subscribers can upload their own self-created otaku artwork, cosplay photos, and more. In addition, TOM launched the smartphone app “Otaku Camera” for iOS in November 2012 and for Android in December 2012. The app allows users to mangatize any pictures from their mobile devices. With over 100 unique frames, users can create one-of-a-kind manga-style graphic art. The app offers many special frames that feature anime, manga, and other famous characters. Reaching over 3 million*3 downloads, “Otaku Camera” has ranked high in smartphone camera app reviews around the world. TOM is more than just a site to enjoy otaku culture; it provides a community for otaku culture fans to interact with one another. Furthermore, it is a place that inspires artists to create content that otaku culture fans admire and contributes to broadening the worldwide otaku market. Through its services, TOM hopes to enrich the otaku lifestyle of all otaku culture fans as well as add new value to the worldwide entertainment marketplace.